Upload the downloaded zip from codecanyon via the wp administration or use a FTP tool to upload the unzipped folder. Then go to the plugins administration and activate the plugin. 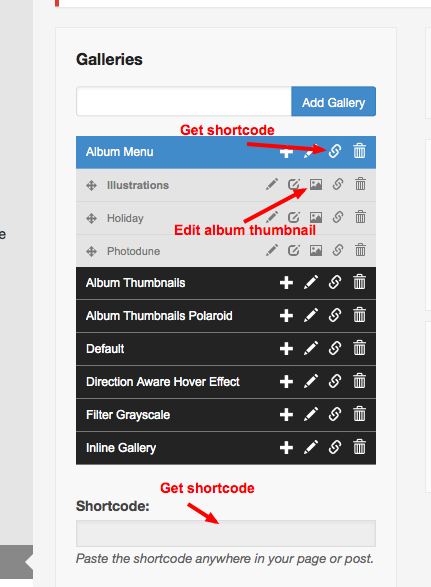 A new menu will be displayed on the left sidebar of your wp administration. Go to the “Manage galleries” administration, here you create your galleries and albums and set the content for these. Via the “Upload Images” button you can upload multiple images at once. 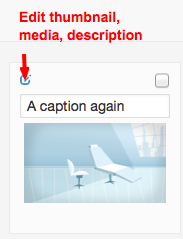 Via the “Upload other media” button you can add videos from youtube, vimeo or other content. All supported media types for the different galleries can be viewed here.